Content .. 32 33 34 35 ..
3. Disconnect sliding roof drain tubes. 4. Remove 8 bolts securing sliding roof. 5. With assistance, remove 2 remaining bolts. 6. Remove seal from sliding roof. 7. Ensure mating faces are clean. 8. Fit new seal to sliding roof. 9. 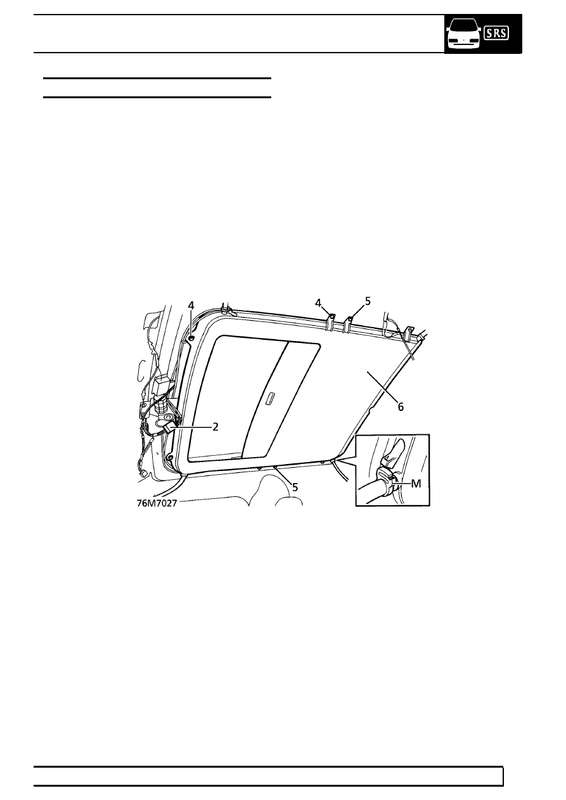 With assistance, position sliding roof. Fit 2 bolts. 11. Connect drain tubes. Secure with clips. 1. Remove upper trims from ’A’,’B’,’D’ & ’E’ posts. 2. Remove both sun visors. 4. Remove parcel tray support trim. 6. Remove front courtesy lamp. 12. Remove sun roof aperture finisher. 13. Remove 2 headlining grab handle blanks. 14. Remove 2 studs securing rear of headlining. 15. 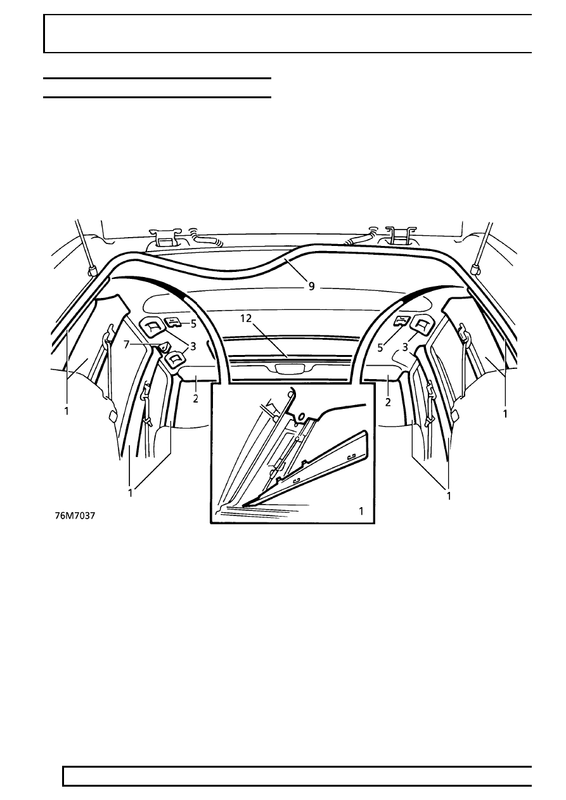 With assistance remove headlining. 3. 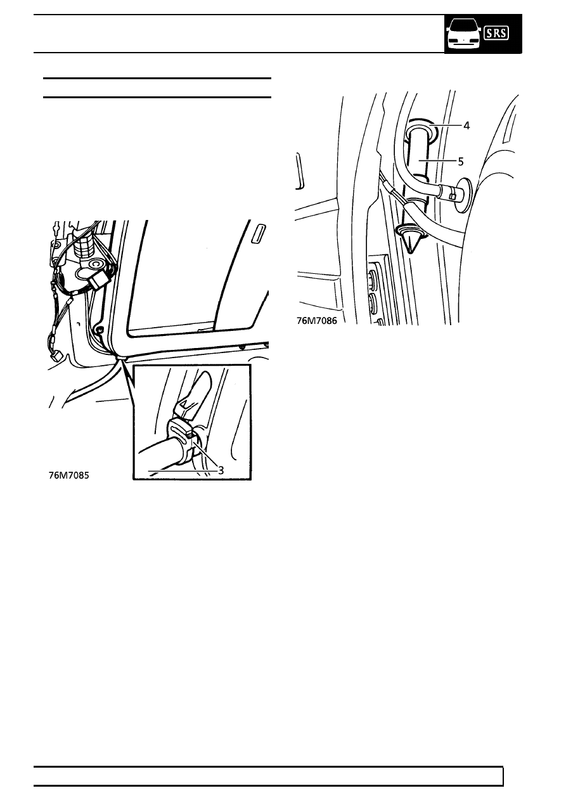 Release drain tube from sunroof. 7. Fit grommet to drain tube, secure to body. 8. Secure drain tube to sunroof. 10. Refit wheel arch liner. 2. Release clip from drain tube. 3. 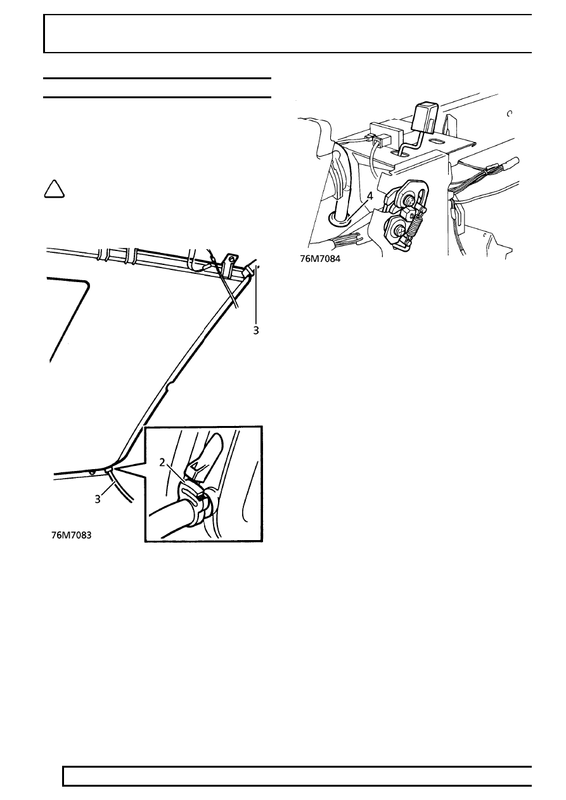 Disconnect drain tube from sunroof. 4. Remove drain tube from wheel arch grommet. 5. Fit drain tube to sunroof, secure with clip. 6. Fit drain tube through wheel arch grommet.